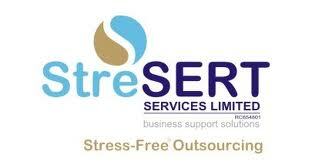 Stresert Services Limited is recruiting for the position of a Group Sales Manager. Our client is a group of companies with subsidiaries in the following sectors: Financial Lease/treasury, Information Technology, and Currency/bureau de change business. In a bid to restructure the operations of the group, the role of a Group Sales Manager has become pertinent in order to harmonize the sales departments under these different subsidiaries so as to meet the Group's business objectives. Be responsible for business goals and targets. Between N6, 500,000.00 - N7, 500, 000.00/annum. Interested and qualified candidates should send their updated CV's to: mgtpositions@stresert.com using 'Sales Manager - GROUP' as subject of application. Incorrect titled applications will not be opened.